THE YEAR 2017 has started at a very fast and furious pace. So much has happened in the football world and we haven’t even reached the 20-day mark in January. In Zurich, Switzerland, the inaugural FIFA “The Best” Awards for 2016 (following the break-away from France Football’s Ballon D’or) took place with Cristiano Ronaldo predictably winning the Player of the Year award controversially boycotted by runner-up Lionel Messi and his Barcelona teammates, causing Ronaldo to mock them tongue-in-cheek. In Abuja, Nigeria, the 2016 GLO-CAF Awards took place with Algeria’s Riyad Mahrez, also predictably emerging as the Africa Footballer of the year ahead of 2015 winner Pierre Aubameyang of Gabon and Senegal’s Saido Mane. In England, the Battle of the Managers in the English Premier League reached new heights last weekend when Manchester City boss Pep Guardiola got hammered 4-0 for the first time in his glittering career as a bullish Everton, featuring a debuting 19-year-old Nigerian-born Ademola Lookman took the aristocrats of City to the cleaners; while Jose Mourinho’s Manchester United and Jurgen Klopp’s Liverpool played out a high profile 1-1 draw. In Spain, Real Madrid’s 40-game unbeaten run was ended by Sevilla to bring some life back into the race for La Liga where Barcelona appears to be losing grip of their title. Also in Switzerland, the FIFA ruling council approved President Gianni Infantino’s plan to expand the FIFA World Cup from 32 teams to 48 from the year 2026. In Gabon, the 2017 Africa Cup of Nations (AFCON) kicked off with the host country and title contender Algeria, Cameroun and Cote d’Ivoire all struggling to unflattering draws in their opening games while so-called “Giant of Africa” Nigeria was conspicuous by her absence on the 16-team roster. Meanwhile, the draw for the qualifying tournament for AFCON 2019 was made and Nigeria will have the opportunity to correct her absence from the last two AFCONS when she takes on South Africa, Libya and Seychelles in qualifying Group E which starts in June this year. And, last Saturday in Kano, the 2017 Nigeria Professional Football League (NPFL) kicked off in ignominious fashion with IfeanyiUbah Football Club abandoning the opening game of the season against Kano Pillars in protest of poor officiating, prompting the League Management Committee (LMC) to slam hefty fines on the club and recommend controversial centre referee Folusho Ajayi for sanction by the Nigeria Referees Association. All these are very important issues which on their own would take up an entire episode of Soccertalk to discuss extensively. But I crave the indulgence of readers to put all these football issues aside for now, while I focus on the urgent matter of a certain Prince Tony Ossail Eke because, in his own case, it is a matter of life…or death! 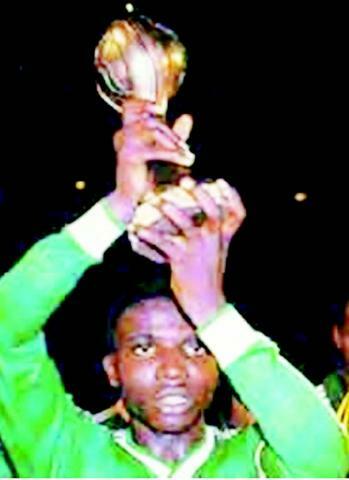 Put simply, Prince Tony Eke needs the support of all football-loving Nigerians to stay alive. On Monday this week (January 16, 2017), veteran journalist Mr. Segun Adenuga walked into my office to describe the pathetic state of Prince Eke and how he needs urgent help after he suffered a stroke. I am not completely unaware of Prince Eke’s health challenges myself. Throughout last year, I was in regular touch with him on the telephone and I knew how he was struggling to get medications for his ailments. In the midst of all that, his mother passed away and he also had to finance the funeral in Delta State. But right now, the battle that Prince Eke faces is how to feed well, buy his medications and stay alive. For older Nigerian football fans; Prince Tony Eke needs little or no introduction at all because his name is synonymous with the Youth Sports Federation of Nigeria (YSFON). But for the younger generation, a short briefing is necessary. Prince Tony Eke is rated by many as the doyen of youth football development in Nigeria. Through YSFON, he discovered dozens of young, talented footballers who went on to play for Nigeria at youth and senior levels. The 1985 Nigeria U16 team that won the inaugural FIFA Under-16 World Tournament in China was made up largely of YSFON products. Prince Eke had taken many of the boys to play and win tournaments such as the Gothia Cup in Sweden and Dana Cup in Denmark before coach Sebastian Broderick took them to China. Therefore, the boys had no stage fright playing against white boys and Nigeria went on to comprehensively beat Germany 2-0 in the World Cup final. Nduka Ugbade was captain of that team and he also was discovered by YSFON. Other players similarly discovered by YSFON include Taribo West, Samson Siasia and several others. Mr. Segun Adenuga has written a more detailed historical account about the founding of YSFON and the roles played by Prince Eke in its successes. You can read that historical account at the bottom of this page presently. But at this point, I invite my readers to join this advocacy. Soccertalk has launched a modest N1million Appeal Fund for Prince Tony Eke and I respectfully appeal to all readers of this column to contribute to the fund. I emphasize that this fund raising was NOT SOLICITED by Prince Tony Eke because I know him to be a man of great dignity. But I also know that he is in SERIOUS NEED of the fund and we shouldn’t wait for him to beg in public before we render him our public support. Many years ago, I wrote in this column an article titled “Encomiums for the Living.” In it, I argued that Nigeria must not wait only for our heroes to die before showering beautiful word on them. We should appreciate our heroes also while they’re still alive to enjoy the adulation. Prince Tony Eke is a living hero of Nigerian football. His contributions to youth development and to some of our national achievements are well documented. Now that Prince Tony Eke is ill and dying, the least we can do is to support him in his time of crucial need. I appeal to the Nigeria Football Federation (NFF), the League Management Committee (LMC) and various football clubs and football academies in the country to contribute to this fund for Prince Tony Eke. But my greatest appeal is to all readers of Soccertalk. We shouldn’t wait for the NFF, the LMC or the clubs alone to do it alone. Everybody’s widow’s mite will be appreciated. Little drops make an ocean. God bless you as you contribute, amen. The Youth Sports Federation of Apapa (YSFA) was formed in 1965 by Mr. Israel Adebayo Adebajo, the founder of Stationery Stores Football Club of Nigeria. The aim was to use the team as breeding ground for his famous club. After his death in 1969, another Nigerian sport-lover and philanthropist, Alhaji Garba Nautan Hamza, a Kano-born business mogul, took over in 1970 alongside late Col Sule Apolo, late Major General Joseph Garba, and General Benjamin Adekunle and sustained the body till 1976. The military coup that toppled General Murtala Mohammed in 1976 had an adverse effect in the day-to-day running of the sporting body as financial straits crippled the activities of the body. As a step to expand the financial base of YSFA, Mr. Tony Eke, a young Nigerian of Delta State extraction, born in the heart of Ajegunle, in Ajeromi Ifelodun Local Government of Lagos State in 1957 took up the gauntlet by approaching the management of VONO Nigeria Limited, to sponsor the first RAMAT CUP football tournament for U-16 boys in Lagos State in 1977. The request was granted and Lagos hosted the maiden edition of General Ramat Murtala Mohammed Cup at St. Gregory’s College, Obalende, where Chief Moshood Kasimawo Abiola (MKO), a personal friend of Murtala Mohammed, promised to replace the trophy and the continuous sponsorship of the yearly RAMAT Cup competition which he did till 1994 edition. It is pertinent to recall that YSFA metamorphosed into YSFON in 1980 during the RAMAT Cup competition in Kano State, where eight states gathered to participate in a national contest. At the end of the tournament held at Sabon Geri Stadium, Kano, YSFA, in a bid to reflect a national outlook added the word Nigeria to its name to read Youth Sport Federation of Nigeria (YSFON). Also in 1980, at the instance of Mr. Tony Eke, Prince Dokun Danquah Abidoye, owner of KODA Sports and millionaire shopping magnate, became the first National President on March 26, 1980 at the Central Working Committee of YSFON meeting held at Tony Eke’s family house at 18, Olowojeunjeje Street, Ajegunle, which served as interim secretariat of the body. However, under the able leadership of Prince Dokun Abidoye, a former national hockey player, Nigeria etched a niche when she registered and took part in the GOTHIA CUP in Goteborg, Sweden and became the first African nation to win a major junior championship in Scandinavia. It is on record that Tony Eke was the brain behind the initiative that gave birth to AJEGUNLE PEACE CUP in the mid-90’s, where the likes of Taribo West, Tarila Okorowanta, Samson Siasia and other Super Eagles stars were discovered. The competition was played at the famous Navy Ground, under the supervision of the council’s Chairman Dr. Ajijola and Councillor Tajudeen Ishola, who made sure that the N91,000 earmarked for the competition was promptly disbursed by the Council treasurer, Mr. Akinwunmi Ambode who is now the Executive Governor of Lagos State. It is also on record that Mr. Akinwunmi Ambode made a personal donation of N2,000 to the purse of YSFON for the AJEGUNLE PEACE CUP Competition. 1. He donated his family house at #18, Olowojeunjeje Street, Ajegunle as YSFON Secretariat. 2. He approached Vono for the first sponsorship of RAMAT Cup in memory of late head of State General Murtala Mohammed. 3. He nominated Prince Dokun Abidoye to be the first President of YSFON. 4. He led the Nigerian Youth Team to win the Gothia Cup in Sweden, the first in the Scandinavia country. 5. He changed YSFA to YSFON in 1980 in Kano. 6. He led YSFON to compete in 10 European and South American countries. 7. He initiated football tournaments to honour several Nigerian national heroes including the late Emir of Kano, Ado Bayero; U.J. Esuene, MKO Abiola, and many others.